Book a spectacular ocean view 5 star resort ! **IF this Villa is booked during your desired dates please look at our other villa VRBO #183536. ** Villa La Estancia - Your Home by the Sea! Oceanview luxury, two-bedroom, three full bath condos with all the amenities of a five star hotel but all the comforts of home. We have a Non-Smoking Villa to offer which is personally decorated by the owners so you have the feel of a home with all the luxuries of a resort. The location is ideal - right on Medano Beach, the safest and most popular swimming beach in all of Los Cabos. Swim in the Sea of Cortez or one of three pools available for our guests. We offer an upper level ocean view unit that can accommodate two-six people. The unit can be rented as a two-bedroom, or as just a lock-off unit with one-bedroom. The suites are ideal for two people in the king bed, but can accommodate four more in the second bedroom. The spacious master baths have a jacuzzi tub, shower, twin sinks, and make-up area. These 2200sq foot two bedroom, three bath condos feature a master bedroom with a king bed, comfortable sitting area with overstuffed chairs, desk area, Master Bath with jetted tub, shower, twin sinks, and make-up area. The second bedrooms have two queen beds and a private bath. Both units are equipped with Google phones in the master bedroom which offers free calling all over the United States and free wifi. Now you can stay intouch with family & friends while your away relaxing in beautiful Cabo at no charge! The dining tables sit six in style with space for more! The kitchens are fully-equipped to prepare gourmet meals and the 24-hour concierge service will help find your chef! There are washers and dryers located in the unit. The living rooms and all bedrooms open onto spacious patios with panoramic views of the pool, Medano Beach, the Sea of Cortez, and the famous Land's End. Cabo offers world class fishing, snorkeling, diving, and golf. Some of the world's best Golf Courses are a short drive from the resort. Town, restaurants, shopping, and nightlife are a ten minute walk along the beach or a short cab ride away. There is no place like Cabo and no better way to enjoy it than at Your Home By the Sea at La Estancia! To book your Cabo vacation now, send us an email to check availability for your dates of travel as our calendar frequently changes and calendar updates may not be listed! Also we will work with you on the minimum night stays as there are frequently openings that fall below the minimum requirements. My husband and I (Gary and Sharla) love Cabo San Lucas. The weather is always perfect, the ocean is exquisite and the people are genuine. We got married on the beach, in front of 'Villa La Estancia', in 2003 and we never wanted to leave. We now live 6 months out of the year in Cabo and hopefully soon it will be permanent. We want people to enjoy Cabo as we do. Location Location Location Cabo is one of the most beautiful places in Mexico/Bcs and has the best weather in ALL of Mexico. Medano Beach is the most magnificent beach on the entire Baja Peninsula. 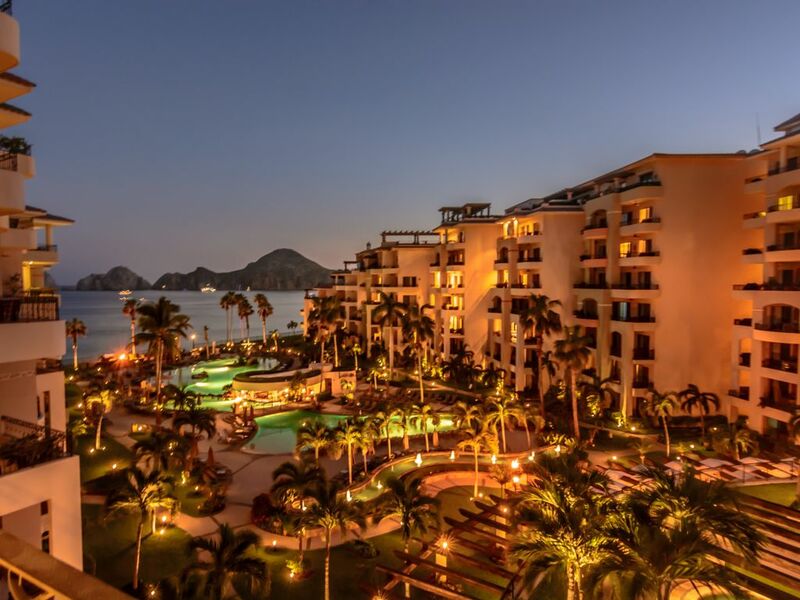 My husband and I have been coming to Cabo for 25 years and we both fell in love with the beautiful beaches, perfect weather and the wonderful people...and don't forget the great food. There is so much to do while you are in Cabo San Lucas from laying on the beach drinking a margarita or cerveza to going to the art walk and enjoying local artist and drinking wine and eating great food. Cabo is a fantastic place with so much to do...snorkling, scub diving, golfing (pro courses), zipline, swimming with the dolphins, ATVing, whale watching, road trips to the water falls or great little mexican towns and most of all eating great food and drinking the best tequila. Google phone with free calling anywhere in the United States and Canada. Have stayed at VLE many times. This property has been maintained nicely by the owners with upgraded furniture and well equipt kitchen. BBQ on patio was helpful. Property offers solid views and although the elevators near by were not operating it is very well located. We would stay here again! Glad you enjoyed your stay with us. Please come back and see us again! Gorgeous property right on the beach! The 2 bedroom condo was super large; 3 full bathrooms; huge balcony overlooking the pool area; super clean and super well stocked with basic amenities such as plates, cups, glasses, paper towels and bath towels; the furnishings are about 10-15 years old, but in good shape. The entire staff was very friendly and very competent! Loved them all! There was a minor repair that was needed and it was taken care of in 30 minutes! Nice grill and restaurant on the premises, although we went out to the many great restaurants in Cabo and San Jose del Cabo. The shag rug in the master bath was shabby - it is old and needs to be tossed - no rug is needed there or anywhere in on the premises, including the ones in the master bath and kitchen - they have all seen better days. Overall I give the property a 98.5 out of 100! If you can't have an enjoyable stay at La Estancia you need to see your therapist! Thank you for your review. Glad you enjoyed your stay! Please come stay with us again. Thanks David! So glad you enjoyed your stay. Please come back anytime! Absolutely amazing. You won't want to stay anywhere else! This place. What to say. I have stayed here several times and it just is incredible. The location is perfect. Really close to downtown, but far enough away. It's really nice a clean inside. Hysha is really great at communicating and accommodated both an early check-in and late check-out. The staff are really responsive. We even had a lot of success with Uber, as it was just recently launched. I just won't stay anywhere else. You won't regret it!! Seth thank you so much for being a perfect guest! We look forward to having you stay with us again! We absolutely loved our stay here! Memories for a lifetime! So glad you enjoyed! Please come stay with us again ! I’ve stayed here before but the rooms were perfect! Very nice and clean and the Villa La Estancias are my favorite location to vacation at!